A couple of weeks ago my wife and I were heading across the San Rafael bridge to downtown Oakland for a show at the Fox Theatre. As all Bay area drivers know, there’s a historically awful stretch of Interstate 80 along that route – a permanent traffic sh*t show. I considered taking San Pablo road, a major thoroughfare which parallels the freeway. But my wife fired up Waze instead, and we proceeded to follow an intricate set of instructions which took us onto frontage roads, side streets, and counter-intuitive detours. 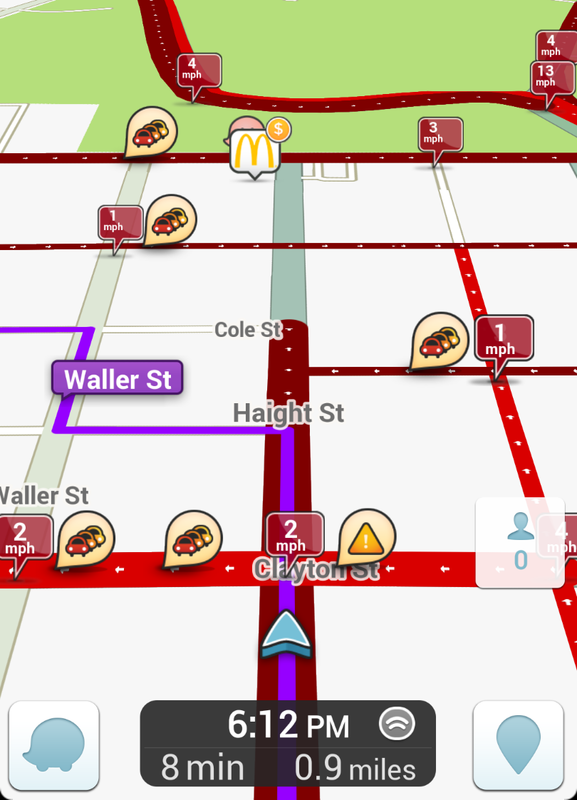 Despite our shared unease (unfamiliar streets through some blighted neighborhoods), we trusted the Waze algorithms – and we weren’t alone. In fact, a continuous stream of automobiles snaked along the very same improbable route – and inside the cars ahead and behind me, I saw glowing blue screens delivering similar instructions to the drivers within.